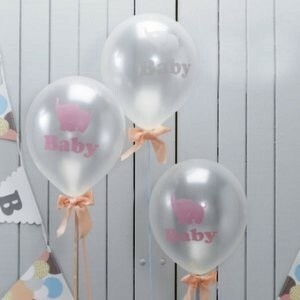 These cute 'Baby' balloons add a touch of something different to your celebration. The balloons come in two colours - pink and matt silver, both with a baby elephant image. 10 in a pack and 22cm when inflated, these pretty balloons would go perfectly at any Baby Shower or Christening.